The publication of Robinson Crusoe in London in 1719 marked the arrival of a revolutionary art form: the novel. British writers were prominent in shaping the new type of storytelling - one which reflected the experiences of ordinary people, with characters in whom readers could find not only an escape, but a deeper understanding of their own lives. But the novel was more than just a reflection of British life. 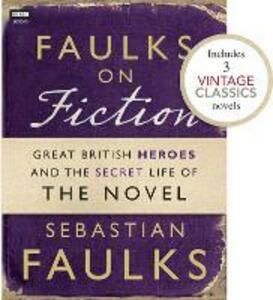 As Sebastian Faulks explains in this engaging literary and social history, it also helped invent the British. By focusing not on writers but on the people they gave us, Faulks not only celebrates the recently neglected act of novelistic creation baplaudsut shows how the most enduring fictional characters over the centuries have helped map the British psyche. In this ebook, Sebastian celebrates the greatest heroes in fiction - from Tom Jones to Sherlock Holmes. Robinson Crusoe by Daniel Defoe: The legendary story of a shipwreck on a desert island. Vanity Fair by William Makepeace Thackeray: The story of a young woman's spectacular rise and fall as she gambles, manipulates and seduces her way through high society and the Napoleonic wars. The Hound of the Baskervilles by Arthur Conan Doyle: Sherlock Holmes' most famous case as he uncovers the truth behind the terrifying legend of a supernatural hound which preys upon the cursed Baskerville family.